Find the hard to answer questions here. Articles and information on how to run a successful vacation rental by owner. Refer back to this page anytime. We will be adding more information on how to run your vacation rental by owner. You can see information like; Why use online booking, Why take credit cards, How to advertise, plus more. You can also email us about a subject, we will research it and write an article about it. Check back often, we will be adding more information about vacation rentals by owner soon. 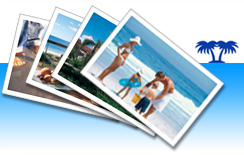 For more information on vacation rentals by owner, be sure to view ourVacation Rental By Owner Blog. VisitGlobalcarrental.aewith us and enjoy your vacations. across UAE. Carrentalkonaairport.comProviding cheap and best car rental services at Kona Airport. Splitairportcarrentals.comVisit Our site to know more about our services.